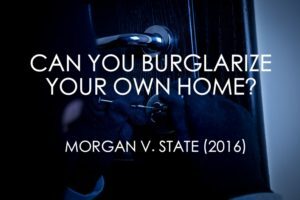 Can You Burglarize Your Own Residence? 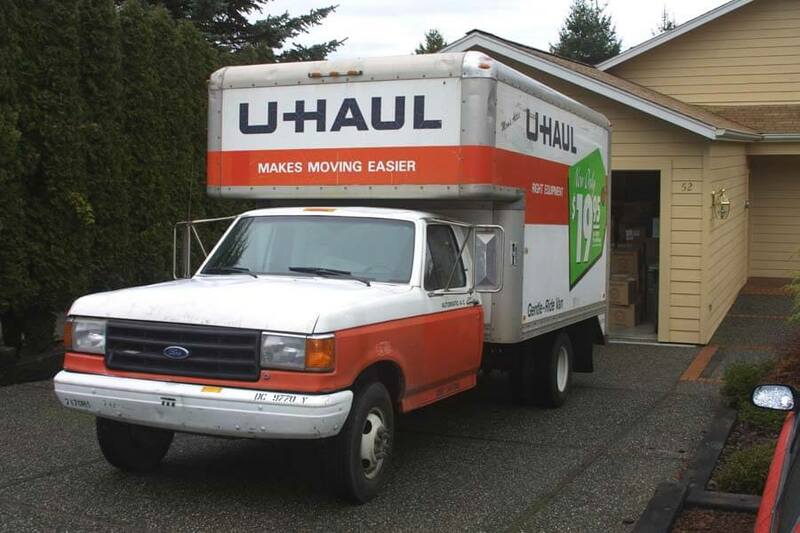 Can a Roommate Who is Not on the Lease be Convicted of Burglary of His or Her Own Residence? 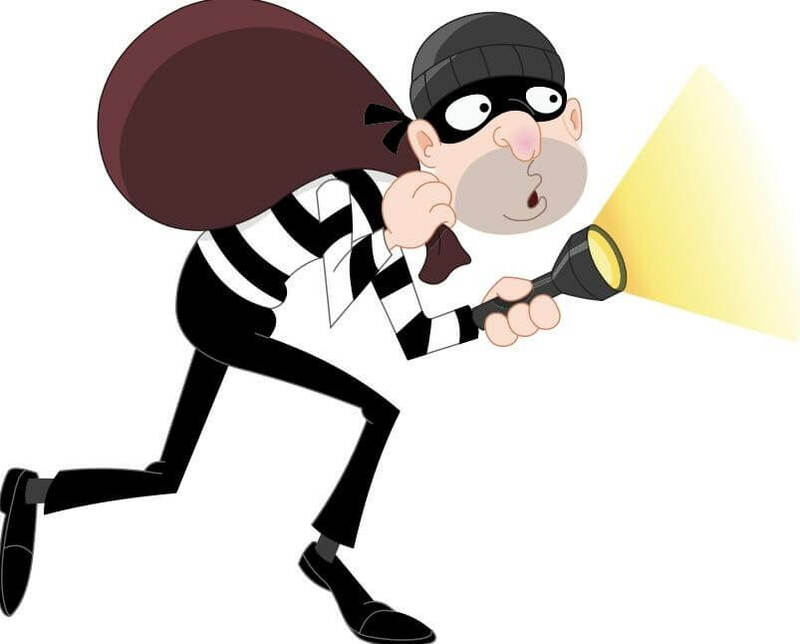 The Court of Criminal Appeals recently held that a roommate, who is not a co-tenant on the lease, could be convicted of burglary into his or her own residence. The key issue facing the Court was whether Appellant Dewan Morgan was an owner of the apartment he was residing in at the time of the criminal act. 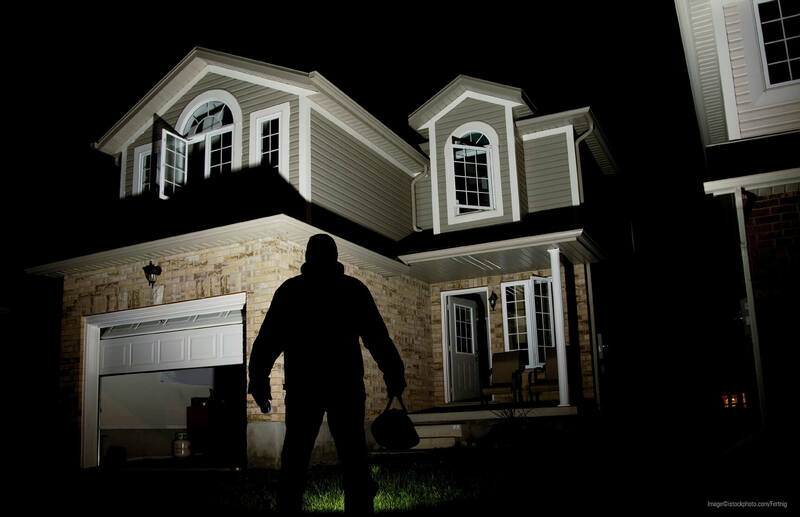 In order to commit a Burglary of a Habitation, a person “without the effective consent of the owner (a) enters a habitation with intent to commit an assault or (b) enters a habitation and commits or attempts to commit an assault.” Tex. Penal Code § 30.02(a)(1). An “‘owner’ means a person who has title of the property, possession of the property, or a greater right to possession of the property than the person charged.” Tex. Penal Code § 1.07(a)(35). Dewan Morgan moved in with his girlfriend, Regina, in November of 2012. Regina gave Dewan Morgan a key to the apartment, but did not add his name to the lease. She mostly paid the bills and expenses with occasional help from Appellant. Additionally, Appellant kept his personal items at the apartment. On June 20, 2013, Morgan and Regina got into an argument. Regina did not want Morgan back in the apartment, so she locked the deadbolt from inside the apartment so that Morgan could not get in with his key. He knocked on the door and rang the doorbell, but Regina did not open the door. Morgan threw a rock into a side window, which broke the window, and then began kicking in the door. He was able to gain entry into the apartment, and when he went inside he grabbed Regina, pushed her to the bed, bit her on the side of her left breast, punched her, and choked her. The police arrived and arrested Morgan. The jury found Morgan guilty of Burglary of a Habitation – a 2nd Degree Felony. The Second Court of Appeals held that there was “no evidence of the absence of ‘the owners’ consent” because Appellant was a co-tenant, thus an owner of the apartment. The court erroneously relied on Texas Code of Criminal Procedure, Article 21.08, which provides a definition of an owner for indictment purposes. Under that definition, the court held that because Appellant lived in the apartment and kept his belongings inside it, he was also an owner of the apartment. Additionally, there was no evidence that his tenancy was terminated, thus he had the right to occupy and control his apartment. The CCA followed the Freeman standard to determine ownership: “A person’s ‘right to possession’ must be measured at the time of the accused’s alleged criminal act.” Freeman v. State, 707 S.W.2d 597 (Tex. Crim. App. 1986). The Court also extended this application to effective consent and concluded that “if a person’s status as ‘owner’ is measured at the time of the criminal act, then so is giving, or removing, of the effective consent to enter.” Essentially, the Court takes a snapshot of the criminal action and determines effective consent in only that instance. The key concern for the Court was whether Regina’s right to possess the property was greater than Appellant’s at the time of the criminal act. The Court considered that only Regina’s name was on the lease, that she paid the rent, and that she gave Appellant a key and she could take it away. Ultimately, Regina’s possession of the apartment was greater than Appellant’s, which did not give Appellant equal ownership rights. The Court held that at the time of the offense, Regina’s right to possess the apartment trumped Appellant’s and that only she was the owner at the time of the criminal act. The CCA next analyzed whether there was no effective consent to enter. Again, the Court analyzed effective consent only in the snapshot of when the criminal act occurred. Even though Regina testified at trial that she did not intend to permanently withhold consent to enter and it was only temporary, the Court found that the temporary revocation of consent during the criminal act was “sufficient to establish the absence of effective consent.” When Regina locked Morgan out of the apartment during their argument, the Court found it clear that Regina did not want Morgan to enter the apartment. Thus, the CCA held that Morgan did not have effective consent to enter the apartment. The CCA considered the factors during the time of the crime and held that the jury was authorized to find that Regina was the owner of the apartment because she had a greater right to possession of the apartment than Appellant, and at the time Appellant entered the apartment, he did so without the effective consent of Regina and with the intent to assault her. Here’s the scenario – man is caught entering a home through a window that he broke. A female occupant of the home comes face-to-face with him and he then runs away. Is there evidence that the man was attempting to unlawfully enter the woman’s home? Certainly. Is there evidence to support the notion that he intended to commit a theft (or other felony) therein? That’s the question. 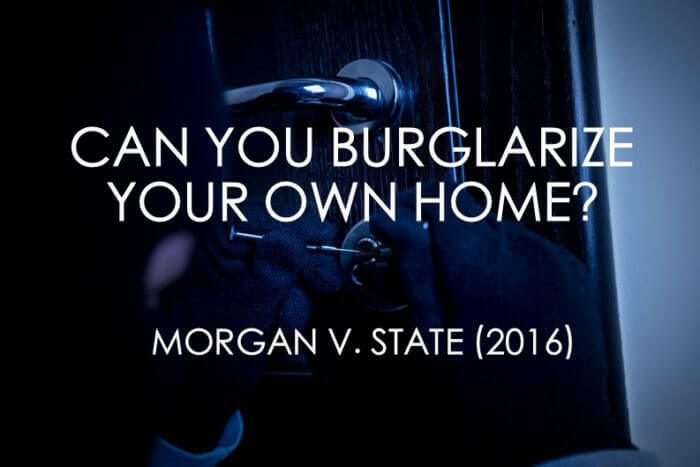 In Gear v. State, when posed with this question, the 12th District Court of Appeals (Tyler) held that the evidence was insufficient to prove that the man intended to commit a theft or other felony on the premises. Yes, the man tried to break in and yes the man was poor, but the State simply did not prove that an attempted “burglary” had occurred. On this record, we decide that a factfinder could reasonably find beyond a reasonable doubt that the recently unemployed appellant with about one dollar in his pocket intended to commit theft inside the complainant’s home when he attempted to enter the home through the window that he had just broken and where the evidence also shows that appellant ran when interrupted by the complainant and that appellant gave conflicting and implausible explanations for his actions. If you ask me, who cares what explanations appellant gave for his actions? The State must prove this specific intent crime. The burden doesn’t shift to appellant to prove his innocence. If the State doesn’t prove the specific intent to commit theft, a verdict of acquittal is required. While everyone can probably agree that the man intentions were not honorable, if the State is going to charge something, the State must prove up the charge.